Deciding which of the roofing companies in the Granite City, Illinois area is right for your home can be difficult. If experience and reliability are two of the qualities that you look for in a contractor, then consider Daech & Bauer Roofing. We’ve successfully completed more than 10,000 projects to date, and our commitment to craftsmanship helped us to be named one of the Top 100 Roofing Contractors in the U.S. by Roofing Contractor magazine. Additionally, we use products from the top manufacturers in the industry, including Owens Corning™ and CertainTeed. 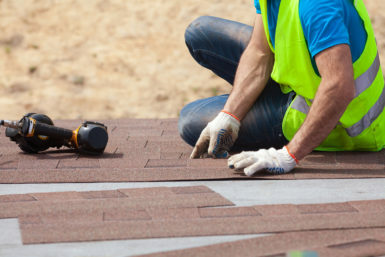 We can repair or replace residential roofs made from a wide variety of materials, from energy-efficient shingles and cedar shakes to tile, metal, and slate. See for yourself why Daech & Bauer Roofing is the popular choice among the roofing companies that serve homeowners in Granite City, IL and the surrounding areas. Contact us today to schedule a consultation at your home.